The UFC heads back to the “Garden State” for the first time since last July, and it does so with a stacked card for UFC on Fox 15. The card heads to what is affectionately called “The Rock,” the Prudential Center in Newark, N.J., for a Saturday night televised card. The main card essentially houses the next possible challenger for the middleweight belt. The main and co-main events combine to feature three of the top five middleweights on the UFC roster. In the main event, former light heavyweight champion Lyoto Machida takes on the former Strikeforce middleweight champion Luke Rockhold. 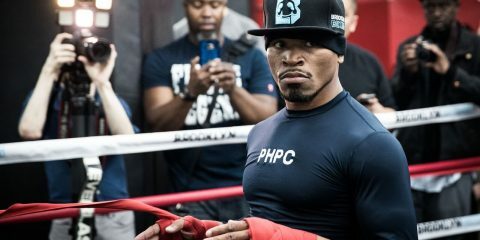 Both fighters favor their great striking styles, which should make for a great fight and an interesting stake to the next middleweight title shot. In the co-main event, Chris Camozzi steps up to replace Yoel Romero a week out from the fight against Ronaldo “Jacare” Souza. Camozzi will look to play spoiler in his return to the UFC and take away Souza’s submission abilities as he attempts to avenge his previous loss to the Brazilian. Also on the main card, there is a strawweight clash between young phenom Paige VanZant and the No. 8-ranked strawweight, Felice Herrig. At featherweight, Cub Swanson, looking to rebound from a loss to former lightweight champion Frankie Edgar, goes up gainst another young phenom in Max Holloway. UFC on Fox 15 prelims begin at 4:30 p.m. ET on UFC Fight Pass for the first three fights. The rest of the prelims air on the main Fox channel at 6 p.m. ET. The main card also airs on Fox beginning at 8 p.m. ET. Vince Carey takes on the New Jersey native, Sal DeRose, for this edition of Toe-to-Toe. This event features three of the top four middleweight contenders. The headliner pits No. 2-ranked Lyoto Machida against No. 4-ranked Luke Rockhold, while No. 1-ranked Ronaldo “Jacare” Souza squares off against Chris Camozzi, a late replacement for No. 6-ranked Yoel Romero, in the co-main event. The outcomes of these two fights will play a large part in deciding who fights the eventual winner of the oft-delayed middleweight title tilt between champ Chris Weidman and challenger Vitor Belfort. So, which two men emerge with the wins? And, of the winners, which one will make the more empathic case to claim honors as the next in line for a shot at the middleweight strap? Carey: This is awesome matchmaking by Joe Silva, because Machida vs. Rockhold is a fantastic Fox main event. Machida can counterstrike better than maybe anyone in the sport, and usually an aggressive opponent like Rockhold is playing right into his wheelhouse. However, we’ve seen really good technical strikers go on the offensive against Machida before and earn results, and Rockhold has the style to make that strategy work. He might be the best striker that Machida has fought since Mauricio “Shogun” Rua. Rockhold has been on a roll as of late in all areas, and if he can find his range early against the elusive Brazilian, we’re going to be in for a hell of a fight. As for Jacare, he may actually find a way to gain something out of what many would have thought was a lose-lose situation when Romero went out. Even though he should really have nothing to gain by beating Camozzi on short notice for the second time, his resume is to the point where his next win, regardless of the opponent, might be enough to earn him a title shot. Another impressive victory would push Souza’s UFC winning streak to five fights, and with Machida and Rockhold having lost to either Weidman or Belfort at some point, Souza could reap the benefits and end up getting the nod for being the fresh match-up. Remember two years ago when middleweight was considered one of the weakest divisions out there and we basically thought we’d be watching Anderson Silva knock out scrubs until he got bored? Yeah, obviously this isn’t that middleweight division any more. Three out of four of these guys have been a champion in a major MMA organization, and all three provide really interesting match-ups for whomever walks out of Vegas with the belt next month.These are elite competitors in one of the toughest divisions in the sport, and it’s going to be awesome to watch them work. Even though he’s technically the No. 1-ranked guy in the division right now, Jacare still seems like a bit of a dark-horse pick here to earn a title shot after this weekend. While Machida and Rockhold have the chance to put on an absolute war, I like Machida to come out on top by a close decision victory. And, since it’s Machida, it will be a controversial win, too. On the flipside, Souza is going to put the pressure on early and basically do everything in his power to duplicate exactly what he did in the first fight. So, while Machida and Rockhold might be “Fight of the Night,” Jacare will end up being the most dominant fighter out there. Even with Jacare’s step down in competition, the UFC will give him the nod over a victorious Machida. DeRose: My colleague might be right about the new landscape in the middleweight division, but it wasn’t really that weak during the reign of Anderson Silva. Silva just made everybody look bad in comparison. Now, you can thank the light heavyweight division and Strikeforce for the influx of top middleweight talent. These two fights focus on this influx of fighters. Machida, of course, is a former light heavyweight champion, and Rockhold and Jacare are former Strikeforce middleweight champions. We live in different times, and this sure is going to make for two great fights. Jacare is going to be more impressive here, but that is due to the fact that he is facing a short-notice replacement and somebody of lesser talent. Camozzi is a solid fighter in his own right, but he isn’t on the same level with Romero, Machida or Rockhold. Jacare will probably finish Camozzi on the ground with his superior submission grappling. Meanwhile, Machida and Rockhold will duke it out to a decision. Submissions make fans happy, whereas decisions don’t necessarily do the same. I’m picking the opposite of my colleague. 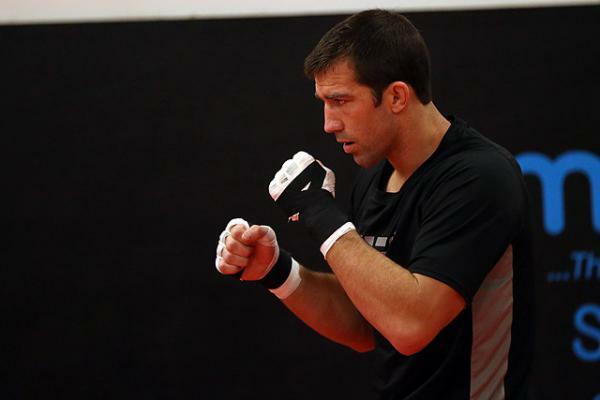 Rockhold will get the victory over Machida. Rockhold has some great striking ability, as we’ve seen, and while Machida is mostly unhittable, he isn’t impervious. Machida needs to be on point in this fight if he wants a rematch with Weidman or, possibly, Belfort. Machida and Rockhold will put on a great fight, but Jacare will display the most dominance. Some people may not realize that Rockhold is fighting a superior fighter, whereas Jacare is fighting an opponent who sits firmly outside of the top 15. Either way, no complaints here about who emerges with the title shot. Machida makes a great title challenger, and, obviously, I’m pretty high on Rockhold and Jacare as well. With five consecutive wins, Max Holloway is finally getting some attention as a legitimate featherweight contender. 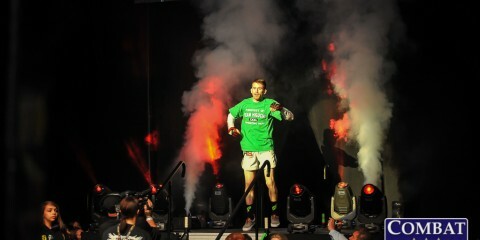 Now, he’s lined up to face Cub Swanson, whose title aspirations were dashed with a loss to Frankie Edgar in November. 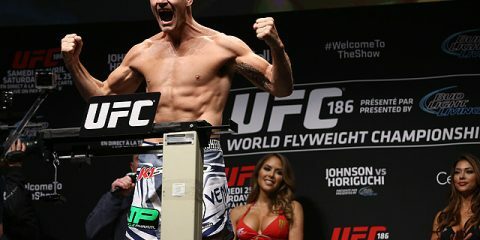 Can Holloway succeed where he has failed on three previous occasions and finally stamp out a signature win for himself? And, should he win, will we see Holloway challenge for the belt before year’s end? 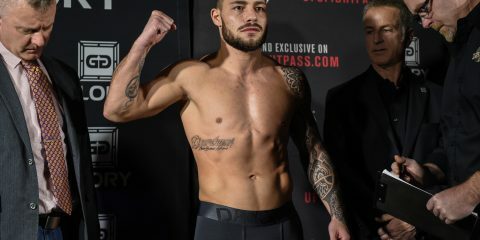 DeRose: If this card wasn’t so deep, I would consider this the heavy favorite to be the “Fight of the Night.” But, the card is deep, and this is probably the dark-horse candidate for the honor. Holloway has been an exciting prospect for the UFC since his signing. He is a very talented fighter and he is only 23 years old. Swanson is an extremely tough opponent for the young star to take on, though. Holloway has failed against three great opponents — Dennis Bermudez, Dustin Poirier and Conor McGregor. Now, whether Holloway can finally break through and get the signature win over a top opponent is an entirely different question. Swanson arguably ranks above everybody Holloway has lost to so far, except perhaps McGregor. Swanson was thoroughly dominated in his last fight against Frankie Edgar, but he has consistently faced top featherweights. Holloway has yet to really beat any top-caliber 145ers. It’s tempting to be optimistic here and think that, sure, Holloway will beat Swanson. Holloway does have a ton of potential, after all. However, this is a significant step up for Holloway, who last beat Cole Miller. Swanson will look to take out Holloway quickly and brutally. Swanson is a tough striker to beat, unless a fighter possesses high-caliber wrestling or the striking game of a Jose Aldo. This isn’t Holloway’s fight to win. And it’s a little optimistic to suggest that he will fight for the belt any time this year, especially considering how deep the division runs. Holloway’s best bet is to hope for an Aldo repeat and a quick, sub-30-second knockout of Swanson. I don’t want to be overly pessimistic, though, so I’ll end with this: at some point in Holloway’s career, he will challenge for a title. Take it to the bank. Carey: This fight is almost frustrating, because I can definitely see why the optimistic side of Sal wants to go with the upset and pick Holloway. “Blessed” is on a fire right now, having won his last five fights and looking very impressive in all of them. He beat one of the most experienced and gritty opponents of his career when he took a decision win from the aforementioned Cole Miller a couple of months ago, and he seems to be hitting his stride after an ultra-impressive 2014. But, as my colleague suggested, this just isn’t his fight. It’s easy to look at Holloway’s recent victories and talk yourself into predicting an upset. It’s also easy to watch Swanson’s performance in his last bout against Edgar and talk yourself out of picking Swanson, no matter the opponent. After battling his way to the forefront of the featherweight title picture, Swanson straight got owned by Edgar in his last fight. There’s really no other way to put it. But, the six-fight winning streak and path of destruction Swanson left in his wake before dropping that bout shows just how good Swanson is, and that’s the fighter Holloway is going to have to be prepared to overcome. Holloway’s a pretty recent addition to the featherweight top 10, and this is a case of giving an up-and-coming fighter a bit too much and too soon, even if Holloway’s been in roughly a dozen UFC bouts. The losses to McGregor and Bermudez were both decently close, but the 23-year-old really could have used a win over a single ranked opponent before jumping into the cage with a top-five guy. I’m 100 percent on board with Sal’s prediction that Holloway will fight for a title one day, and I actually think he’ll turn some heads and have a little success this weekend. However, I can’t pick him to earn the victory or dabble in title contention after this one. It may be another few years before he hits that next level. With Paige VanZant appearing on the card, we have to, of course, talk about her fight with Felice Herrig. Is a victory over a veteran like Herrig a helpful shortcut to title contendership for VanZant? Conversely, is a victory over VanZant a big boost to Herrig’s contendership status? Carey: This basically comes down to whether or not you think VanZant is the real deal. On one hand, she’s 21 years old with a ton of hype behind her after recently signing a Reebok deal and, to top it off, she’s fighting out of one of MMA’s premier camps. 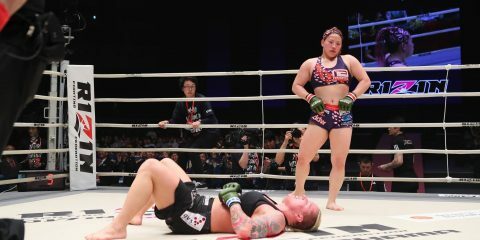 Her one loss came in one of the best women’s MMA fights of the past few years and against an opponent who’s undefeated and had beaten a couple of the biggest names in the division, including the woman VanZant fights this weekend. On the other hand, can we really jump on the VanZant bandwagon after she’s only beaten four opponents, especially since three of them were making their MMA debut at the time they fought the Team Alpha Male fighter? It’s not an easy question, especially since it’s been well over two years since we’ve seen the up-and-comer fight anyone of substance. Meanwhile, Herrig spent the last year training and competing with some of the best in the division while filming The Ultimate Fighter 20. “The Lil’ Bulldog” was considered one of the better strawweights available before she was dropped into the training pressure cooker that is the TUF house, and an upset over a rising star in VanZant would put her right on the precipice of a title opportunity. There’s the possibility that VanZant is going to get bullied by the more experienced Herrig in this one, but ultimately I’m going to take youth over experience and side with VanZant. The 21-year-old looked like a future star two years ago when she suffered her loss to Tecia Torres, and she looked like a much-improved fighter in her dominant UFC debut late last year. Young fighters tend to get better extremely quickly, and as long as she’s still getting better and has added a few wrinkles to her game specifically for Herrig, then I like VanZant to win. This is a lot of pressure on a young fighter fighting on a huge stage for the first time, but if VanZant can win and win impressively it’s going to shut down a lot of doubters and allow her to make a small jump into title contention. She still needs to win another couple of fights before getting near UFC gold, but a win over Herrig would be a big step in the right direction. DeRose: Agreed — VanZant still needs a few more wins before we can consider a title shot in her future. VanZant and Maryna Moroz are at the same level right now. They are two young fighters with minimal UFC cage time, and I think we would all agree Moroz, too, is still a couple fights away despite an impressive debut against a top-three strawweight. We still need to find out if VanZant is the real deal or not. Kailin Curran isn’t exactly a title contender and was around the same level as VanZant when the two met for their UFC debuts. Herrig is a good start to proving VanZant as a legitimate threat in the division, assuming VanZant is able to get the win. Herrig is a strong veteran and a good name around which a young, up-and-coming fighter can build a resume. VanZant has her face plastered everywhere now and the division seems to be building up around her as a future star, but she is still only 21 years old and needs improvement in some areas before she can even be considered a title contender. VanZant is certainly one fighter to watch at 115-pounds if she stays level-headed and continues to build her skills at her current pace. Herrig, meanwhile, could certainly become a title contender with a win. With Joanne Calderwood out of the picture, the strawweight division is wide open for new champion Joanna Jędrzejczyk. There is certainly a lot that can happen, though, and the champ has some interesting names in front of her, including Jessica Penne, Randa Markos and Tecia Torres. It all depends on what happens over the next few months, but the division is very wide open for anybody to step up. Herrig can gain the upper hand on the feet if she can counter the aggressive pace from VanZant that we saw from the young fighter against Curran. If VanZant fights like she did in that particular match, she will also need to be wary of her defense. Curran did land a couple of nice shots and Herrig will make her pay if those openings are there. Yet, despite any perceived advantages for Herrig, VanZant will walk away with the victory. Even though both men are over the age of 30, Ovince Saint Preux and Patrick Cummins have still been considered prospects of sort until this point in their careers. Between OSP coming off a career-highlight knockout win over Mauricio “Shogun” Rua to break into the 205-pound top 10 and Cummins looking like an absolute beast in three wins since dropping a short-notice debut to Daniel Cormier last year, both men seem primed to make a true push towards the light heavyweight title scene with a win this weekend. First and foremost, who do you have taking this one? And, second, does the winner ever reach their title aspirations, or are we looking at two borderline top-10 fighters and nothing more? DeRose: Saint Preux takes this fight fairly easily in my book. That’s based primarily on his status as a much more well-rounded fighter than Cummins. That’s no knock on Cummins, who has been solid in his four-fight stint with the UFC. His lone loss came to Cormier, which, to be fair, was a fight that doesn’t really count because it came on short notice and marked a huge step up in competition for Cummins. OSP seemed like a feeder fight for Shogun. It seemed to be a certainty that Rua would take that fight rather easily, but OSP was able to score a quick first-round stoppage of the former light heavyweight champion. OSP has come on strong late in his career. His last two losses were to Gegard Mousasi and Ryan Bader, not exactly a pair of cans. OSP has the wrestling to grind opponents and the power to knock people out. Cummins will be able to take it and dish it back out, too, but overall OSP overwhelms Cummins for a decision victory. With the short little prediction out of the way, let’s move on to the question of their future potential. These guys have the ability to become fringe top-10 guys, but anything more is an added bonus. The light heavyweight division is surely starved of challengers for champion Jon Jones to run through. Honestly, their best bet is that Jones beats Anthony “Rumble” Johnson in their title fight, which would make the path to the top of the division much shorter. If Rumble were to beat Jones, the whole division opens right back up and leaves this pair farther back in the line. This is a good fight to see which fighter can establish himself as a top-10 guy. My money is on OSP. Carey: I’ll go in reverse order and take care of the title scene question first. Like Sal, I’m not sure if these two will ever be legitimate top-five guys in the division. As talented and athletic as both men are, there’s still a stable of juggernauts sitting in the top tier of the division. Neither OSP nor Cummins is ready to fight the Cormiers and Alexander Gustafssons of the world. If Jones is able to keep winning, then eventually one of these two could sneak into the title scene in the same manner as guys like Patrick Cote and Thales Leites snuck into big fights during Anderson Silva’s run on top of the middleweight division. However, that’s an unlikely scenario. It’s not difficult to imagine both guys getting some big fights down the line, but probably not a shot at UFC gold. As for the fight on Saturday, I’m actually surprised that Sal thinks that OSP should take this one easily. I’m going to call the upset and pick Cummins. OSP’s losses to Bader and Mousasi had one major thing in common, and that’s that OSP spent a lot of time on his back in those bouts. Bader took the former Tennessee Volunteer to the mat nine times last year to win the fight with relative ease, and Mousasi did a decent enough job employing that strategy in his own right back in the day. OSP is obviously dangerous on the feet and when he can control the grappling game, but he’s had a hard time against fighters who can control him on the mat. That’s going to be the key to a Cummins victory this weekend. Cummins hasn’t exactly been fighting world-class wrestlers in his three UFC wins to this point, but he’s done a fantastic job of getting the fight to the mat and getting in comfortable positions. Outside of the Cormier fight, which I too basically choose to ignore, every Cummins fight has been some variation of taking his opponent down and mauling them until the bell rings or the referee pulls him off. Whether it was smashing Roger Narvaez inside two rounds, dragging Kyle Kingsbury to the mat 10 times or landing over 100 strikes against poor Antonio Carlos Junior, wrestling has been the bread and butter for Cummins so far, and I like his odds to keep that momentum going by stifling OSP this weekend. Carey: This is a card with a lot of really fun preliminary fights, so I expected to have a hard time choosing a sleeper fight. I was wrong, though, because somehow I slept on my own sleeper fight and forgot that Takeya Mizugaki and Aljamain Sterling are going to throw down this weekend. Sterling is one of the most highly touted prospects on the UFC roster right now, bringing a 10-0 record into the cage following two straight wins to kick off his UFC career. The Team Serra-Longo product absolutely wrecked Hugo Viana in his coming-out party his last time in the cage, but he’s going to have to prove he can hang with one of the division’s premier gatekeepers in Mizugaki. Considering we’ve seen Mizugaki send Bryan Caraway, Erik Perez and Francisco Rivera back down the bantamweight ladder as they’ve tried to hit the top 10 over the past two years, Sterling’s task is not going to be an easy one. 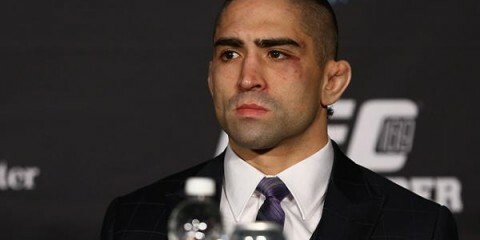 With the Japanese vet in dire need of a win after getting wrecked by Dominick Cruz, he should be highly motivated and provide Sterling with the perfect test to see if he’s the real deal. DeRose: Yeah, I don’t particularly feel any of these fights are really “sleeper fights” since the whole card is pretty awesome and none of these contests should slip between the cracks. My colleague makes a good pick with Mizugaki and Sterling, but there’s also a case to be made for Diego Brandao and Jimy Hettes on the prelim portion of the card. Yet, I’m going with something different to keep the New Jersey trend intact. Jim Miller has a fight against a short-notice opponent in Beneil Dariush. 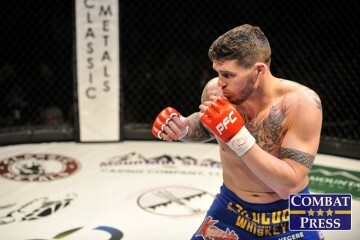 Miller has been involved in some great finishes and fights. Whether it be on the losing or winning end, Miller comes to fight and is involved in something fun to watch. It’s easy to overlook this fight, even though it includes the hometown kid fighting in his backyard, but Miller certainly has the potential to make this a fun affair. Dariush is dangerous on the ground with his chokes, as Daron Cruickshank found out, and Miller sometimes likes to take fights down to the mat. It’ll be interesting to watch, for sure. DeRose: As a New Jersey native, I will say that there is a lot you can pair with this card. I’m going to get a nice big pork roll sandwich — that’s right, pork roll and not Taylor Ham, that’s the brand — with all the fixings on it. You can take that to the bank from a true New Jerseyan. Not only that, heck, Bon Jovi. You can never go wrong with some Bon Jovi. Those are two of the biggest staples in our state, along with criticizing your driving on the Parkway and trips to the beach. Carey: Who am I to argue with the Jersey native? Grab yourself the sandwich, fire up “Livin’ on a Prayer” and spend your day watching a Jersey Shore marathon, bro! But if for some reason none of those things will get you going for a stacked night of fights, I do have a lineup of events that don’t require a healthy dose of GTL. Kick off your morning with a battle of two of the very best in the Premier League going head to head when Manchester United and Chelsea face off, and then occupy yourself with some NHL and NBA playoff action until the fight card rolls around. Saturday is a good day to be a sports fan, and if you combine that with a pork roll sandwich, it should be considered for national holiday status.